I could happily eat bowlfuls of it on a daily basis. Having bought so many different pots of this amazing dip, I thought I would attempt to create it myself and was quite shocked by how easy it actually is. Once you've mastered the basic recipe, you can get a little creative. I like to add olives to my batch of hummus, as it gives a lovely salty taste. If I want it to be a touch sweeter, I'll occasionally add red pepper. This can either be thrown into the mixer or small pieces stirred into the finished batch to add a little crunch. 1x clove of chopped garlic. 1. Drain the chickpeas from the tin, reserving a little of the water that the chickpeas are contained in. Rinse the chickpeas throughly. I find if i'm rinsing anything, it's easiest to place the item in a sieve and run the water over them. 2. Put the chickpeas, tahini, olive oil, lemon juice and chopped garlic into a blender. At this stage, if i'm going to add anything extra then I will, such as olives and coriander. 3. Pulse the mixture until smooth. Using the left over water from the chickpeas tin, add a little at a time until you reach the consistency that you desire. 4. Serve in a dish of your preference. If you're serving this at a party or gathering, you can decorate the mixture with paprika, a few chickpeas, coriander leaves and a dash of olive oil. 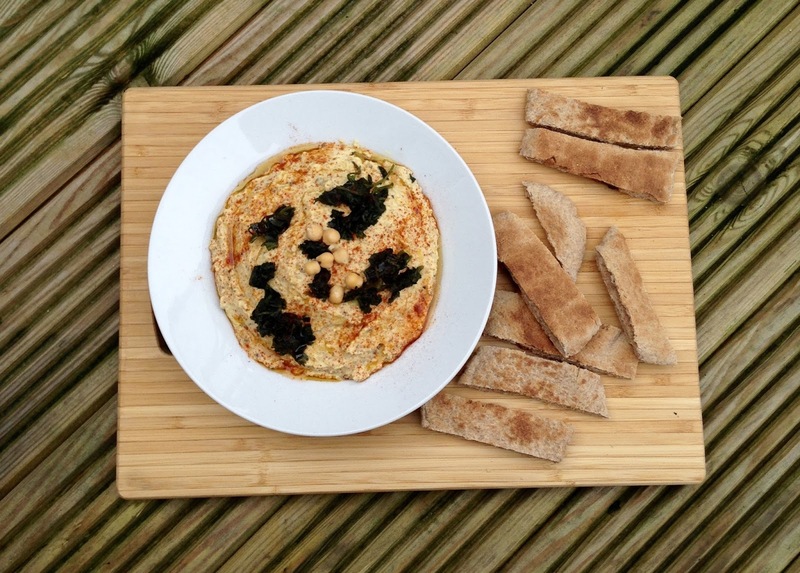 If you're already a hummus fan, then you know this delightful creation can be served with pitta strips, a quinoa salad, a halloumi and spinach wrap or just simply on its own. It can pretty much be served with anything.. Happy days! Yum!!! I never thought of putting coriander in hummus but I'll try that next time! Wow! 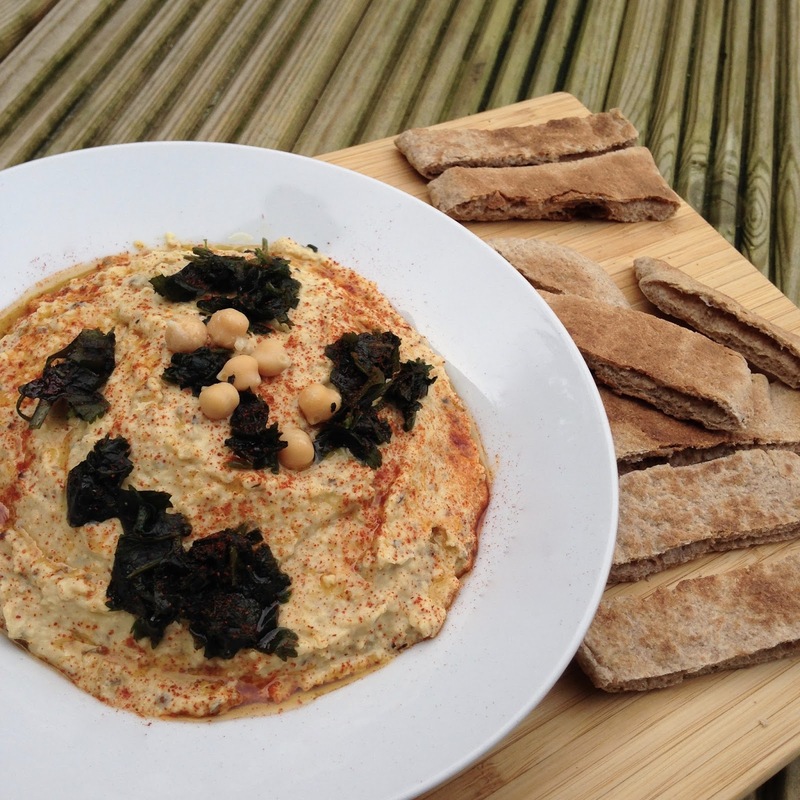 Great hummus, looks so tasty!! This looks delicious! Great photos! I absolutely love hummus and can't feel bad about eating because it's healthy. Hummus is so delicious, love the ones with garlic in it ;D Never tried to make my own though, going to try this sometime! Thanks for sharing! This looks so delicious, I LOVE hummus!!! Love how I came over from your comment on my latest food post, and the first word I see here is "HUMMUS". Is it a foodie coincidence or fate? HAHAHA!! I love hummus, it goes well with kubus or bread here in uae. I'm happy you shared how to make, i wonder it before. This is so yummy! Thanks for the share! I can eat bowlfuls too! Love it and urs look yummmm!! wow that looks yummy. thanks for providing the recipe. it looks easy enough to attempt. but if I screw it up. im gonna just let my cousins make it for me. hehe. Looks absolutely delicious! Can't wait to try the recipe! i never add tahini, never knew that we could. Now I know. Thanks for letting me know.